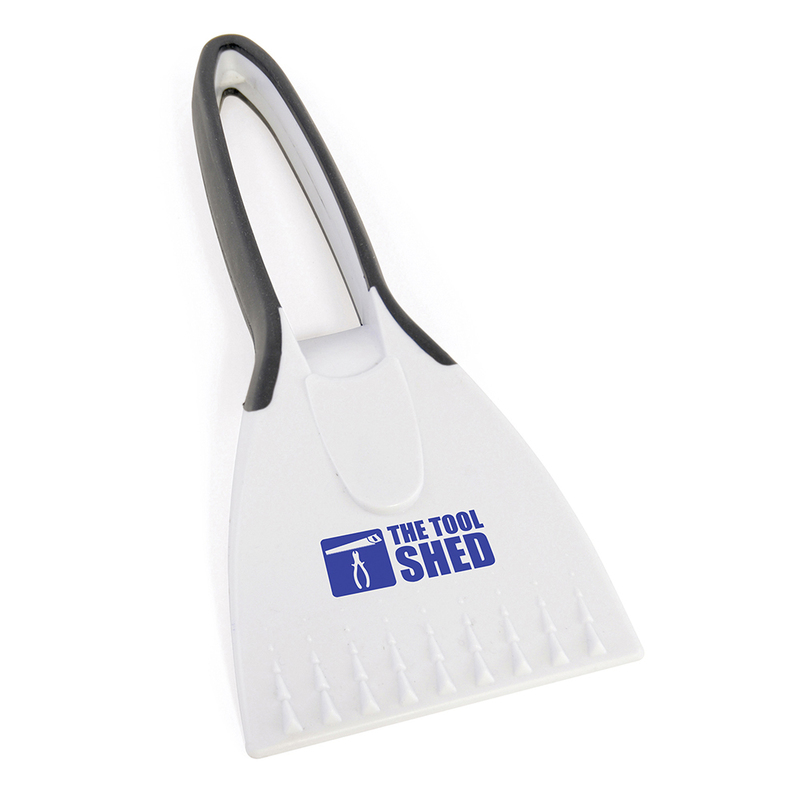 Model:AA0411 CABOT Description: Plastic ice scraper with rubber squeegee. 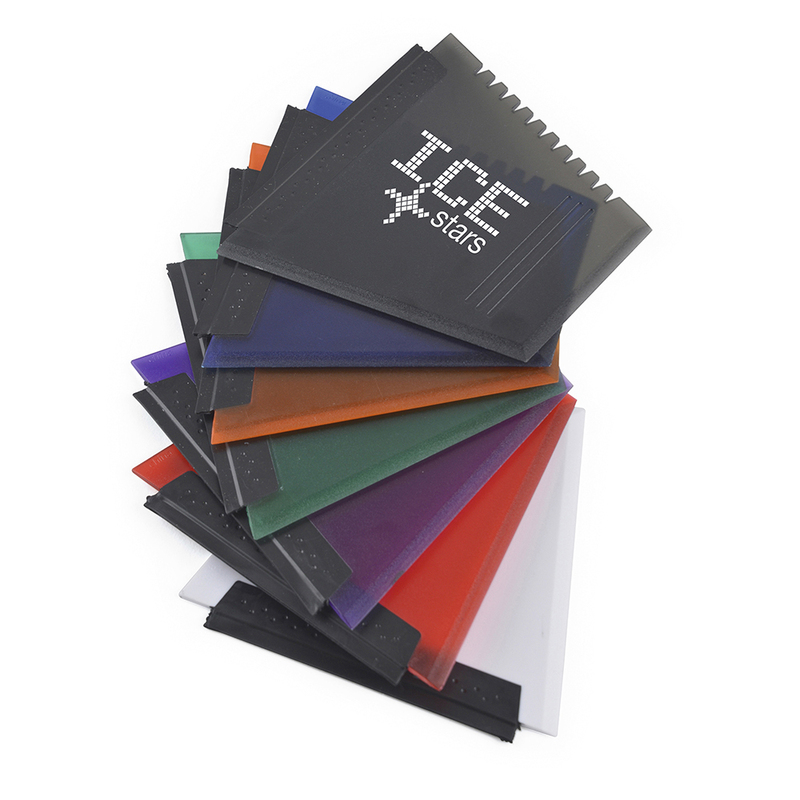 Colour Options: Amber,Black,Blue,Green,Purple,Red,White Product Data Specification Product Size 112 x 121 x 3 mm Product Weight Ink Colours If Applicable N/A Additional Information Price includes a 1 colour print to 1 position only. Price excludes Carriage & Origination. Lead Times 5 working days from artwork approval. For Priority Service Lead times and pricing info please visit Priority-Service for more information. Personalisation Data Max Personalisation Pad/Screen Print Area 50 x 50 mm Engraving Area N/A Full Colour Area 60 x 50 mm Embroided Area N/A Max Spot Colours 4 Foil Block Embossing N/A Notes Price includes a 1 colour print to 1 position. Set up and carriage are additional. 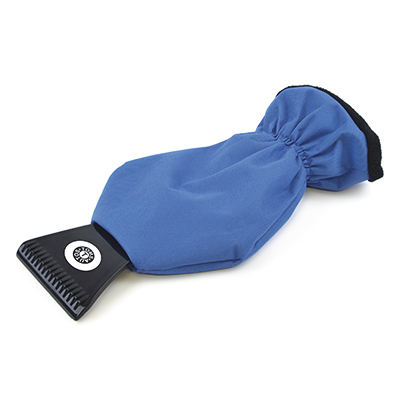 Model:AA0414 GLAZIER Description: Opaque plastic ice scraper with the handle enclosed inside a fleece lined water resistant glove. Colour Options: Black,Blue,Red Product Data Specification Product Size 333 x 165 mm Product Weight Ink Colours If Applicable N/A Additional Information Price includes a 1 colour print to 1 position only. Price excludes Carriage & Origination. Lead Times 5 working days from artwork approval Personalisation Data Max Personalisation Pad/Screen Print Area 20 x 40 mm Engraving Area N/A Full Colour Area N/A Embroided Area N/A Max Spot Colours 1 Foil Block Embossing N/A Notes Price includes a 1 colour print to 1 position. Set up and carriage are additional. 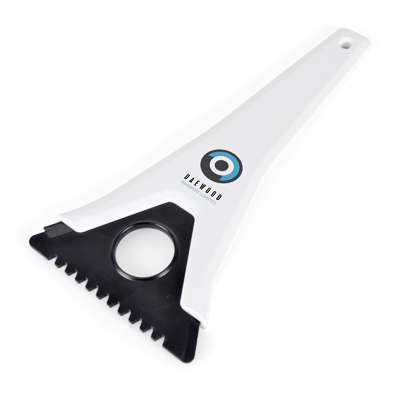 Model:AA0412 HUDSON Description: Plastic ice scraper with handle. Available in various colours Colour Options: Amber, Blue, Green, Light Blue, Pink, Purple, Red, Trans, White, Yellow Product Data Specification Product Size 96 x 215 x 25 mm Product Weight Ink Colours If Applicable N/A Additional Information Price includes a 1 colour print to 1 position only. Price excludes Carriage & Origination. Lead Times 5 working days from artwork approval. For Priority Service Lead times and pricing info please visit Priority-Service for more information. Personalisation Data Max Personalisation Pad/Screen Print Area 70 x 34 mm Engraving Area N/A Full Colour Area 40 x 65 mm Embroided Area N/A Max Spot Colours 4 Foil Block Embossing N/A Notes Price includes a 1 colour print to 1 position. Set up and carriage are additional. Model:AA0413 LAGAN Description: Plastic ice scraper with rubber covered handle. Colour Options: Red,Blue,White Product Data Specification Product Size 210 x 95 x 25 mm Product Weight0.075 Ink Colours If Applicable N/A Additional Information Price includes a 1 colour print to 1 position only. Price excludes Carriage & Origination. Lead Times 5 working days from artwork approval Personalisation Data Max Personalisation Pad/Screen Print Area 50 x 10 mm Engraving Area N/A Full Colour Area N/A Embroided Area N/A Max Spot Colours 2 Foil Block Embossing N/A Notes Price includes a 1 colour print to 1 position. Set up and carriage are additional. 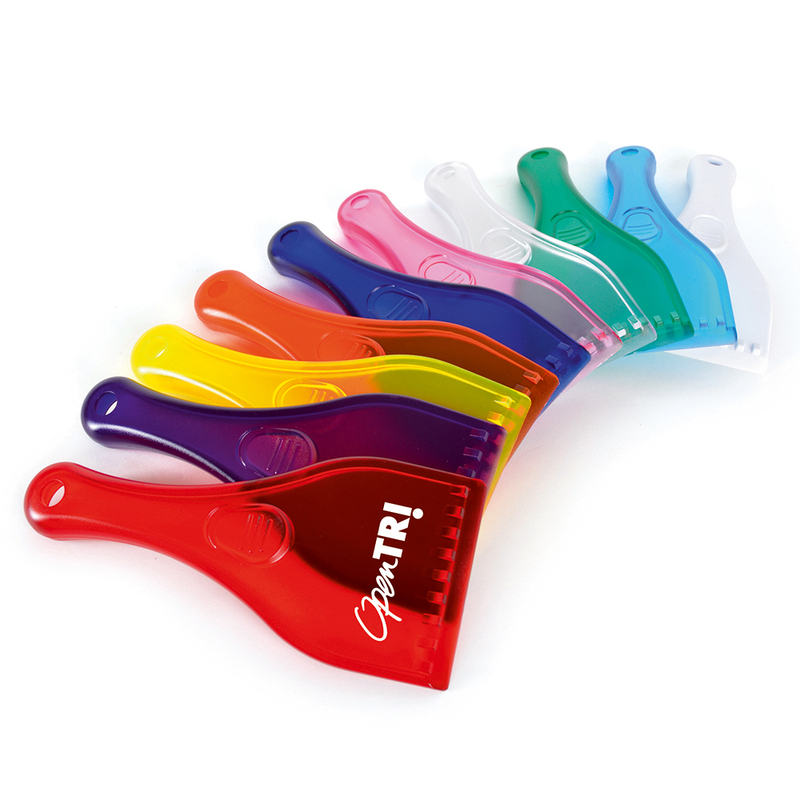 Model:AA0415 RIVERTON Description: Plastic ice scraper which detaches from the handle allowing you to rotate between scraper, squeegee and ridged blades. Colour Options: White Black Product Data Specification Product Size 256 x 113 x 10 mm Product Weight Ink Colours If Applicable N/A Additional Information Price includes a 1 colour print to 1 position only. Price excludes Carriage & Origination. Lead Times 5 working days from artwork approval Personalisation Data Max Personalisation Pad/Screen Print Area Handle: 15 x 75 mm, Under removable scraper: 30 x 25 mm Engraving Area N/A Full Colour Area 15 x 75 mm Embroided Area N/A Max Spot Colours 4 Foil Block Embossing N/A Notes Price includes a 1 colour print to 1 position. Set up and carriage are additional.